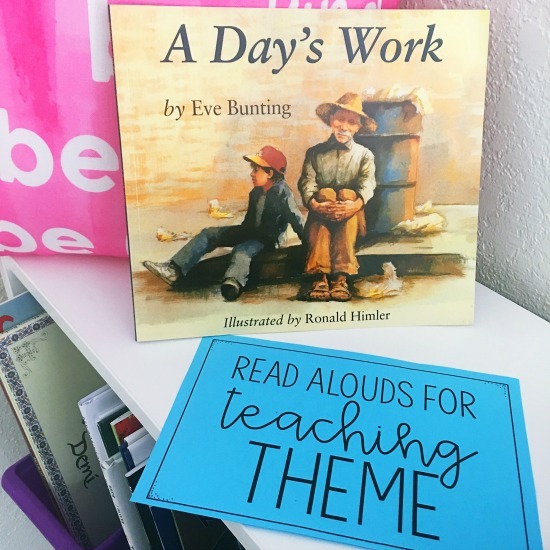 Teaching theme is something I really enjoy. 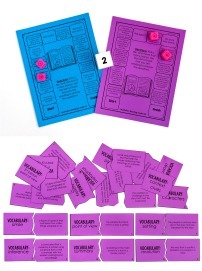 I think it helps build character and an enjoyment of reading, in addition to being a key reading skill. When students realize that they are learning life lessons from the books they read, it often increases their enjoyment and engagement. 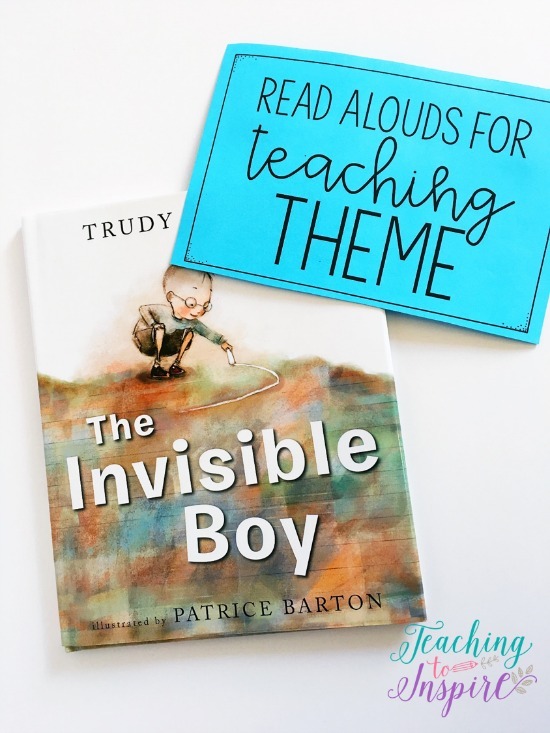 In this post, let’s take a look at some of my favorite theme mentor texts or read-alouds for teaching theme. 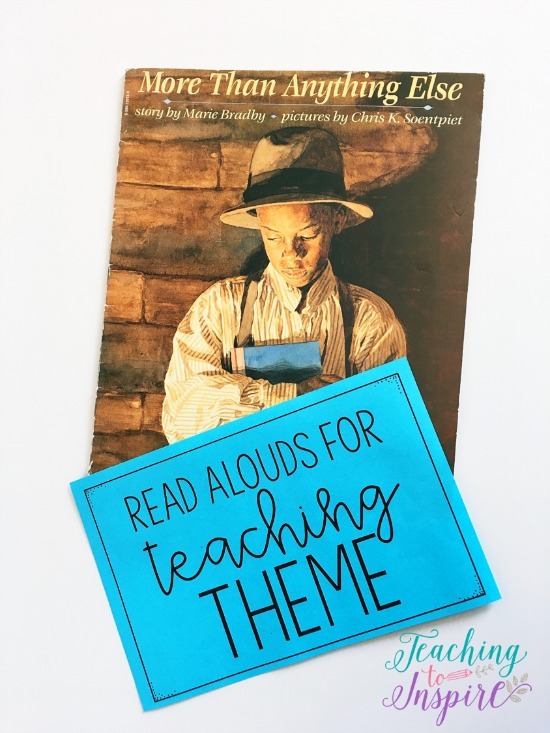 Note: These are my go-to books for introducing theme but it seems like every year I find new books with fabulous themes that resonate with my students. 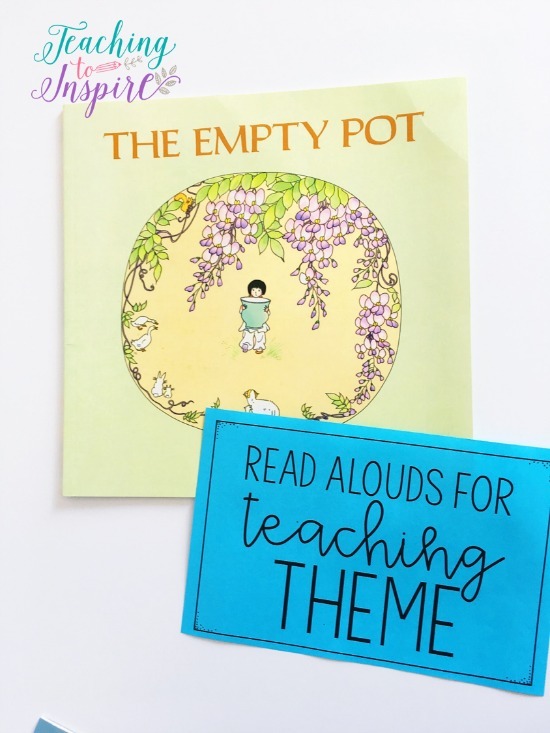 I like to teach theme early on in the year so we can revisit it and learn life lessons from every read aloud we read. This book really resonates with a lot of my students, particularly boys. 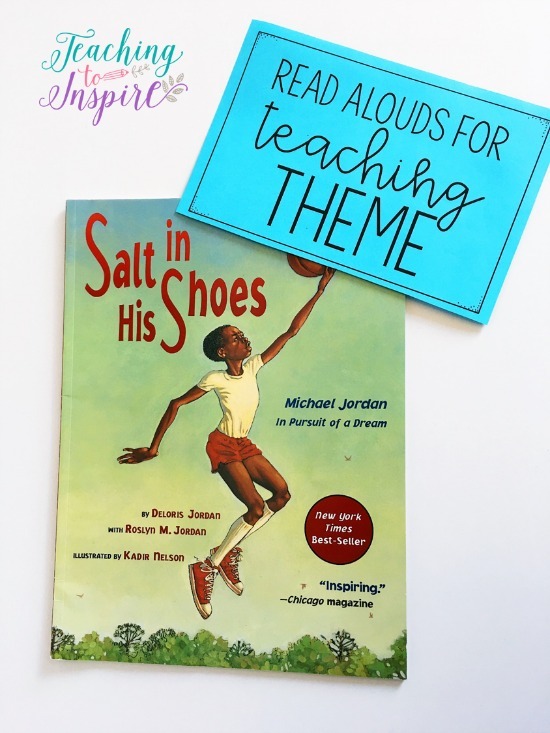 The read-aloud tells a fictional account of Michael Jordan when he was younger. In the story, Michael is younger and too short to be really good at basketball. His mother tells him to put salt in his shoes to help him grow taller. Eventually, Michael learns that hard work and patience will make him a better basketball player (and taller). Note: This book does mention praying and has a scene with the mom praying to God. It does not mention any specific religion or religious views. Click here to see Salt in His Shoes on Amazon. More than Anything Else is a fictional account of Booker T. Washington’s childhood. In the book, Booker wants nothing more than to learn to read. However, his family is poor and illiterate, and he works long hours packing salt. His mother gives him a book with the alphabet in it. Booker studies the letters, but he does not know the sounds they make. Eventually, he meets a man who helps him match the letters with the sounds they make. Education is important and to be valued. If you want to learn, no one can stop you. Click here to see More than Anything Else on Amazon. Those Shoes tells the story of a young boy who wants a pair of high top sneakers like all of the other kids have. The problem is that his family does not have enough money to pay for them. After hours of searching, Jeremy and his mom find a pair at a thrift store. They are too small, but Jeremy buys them anyway, hoping they will stretch. They don’t stretch, and when Jeremy discovers a classmate with tape on his worn-out shoes, he wrestles with giving him the shoes. Finally, he does give his friend the shoes. At the end, it is snowing, and Jeremy is able to wear his winter boots. Being kind is worth it. There is always someone who we can help. Material possessions are not as important as friendship. 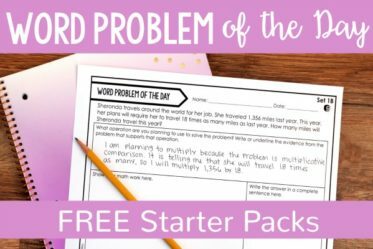 Note: This is a simple story and is ideal for grades 2-3, so it may not be a great fit if you have advanced readers. Click here to see Those Shoes on Amazon. The Invisible Boy tells the story of Brian, a boy who feels invisible. He is invisible to the teacher and his fellow classmates. One day, a new boy moves to the school and is laughed at by the other students. Brian writes the new boy a kind note, and they become friends. Through this friendship, Brian also becomes friends with another student, slowing become visible again. Even the smallest acts of kindness can change your life. No one is truly invisible, but sometimes we must work to find where we fit in. Our actions affect how others feel about themselves. 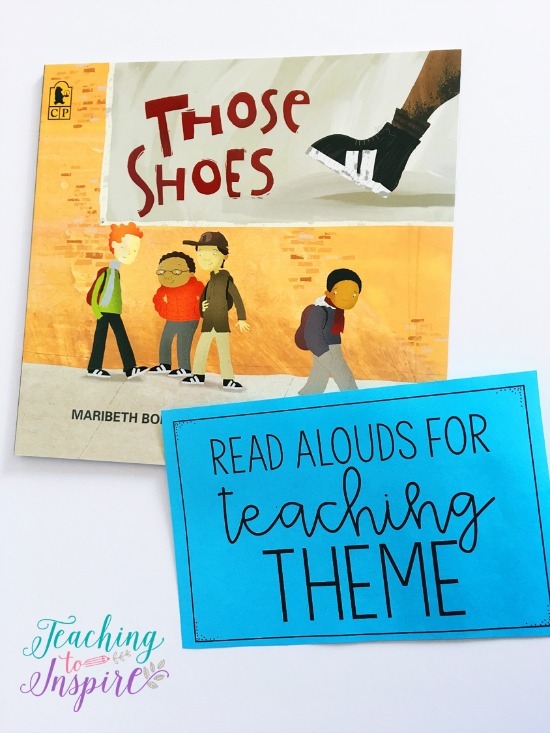 Note: This book does seem simple on the surface, but if pushed, the students can really come up with great lessons they can learn through either Brian’s actions or the other students’ actions. 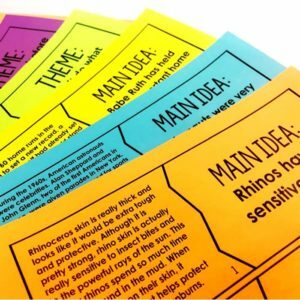 If the students do not come up with the more advanced themes shared above, share them with the students, and have the students find evidence to support those themes. Click here to see The Invisible Boy on Amazon. 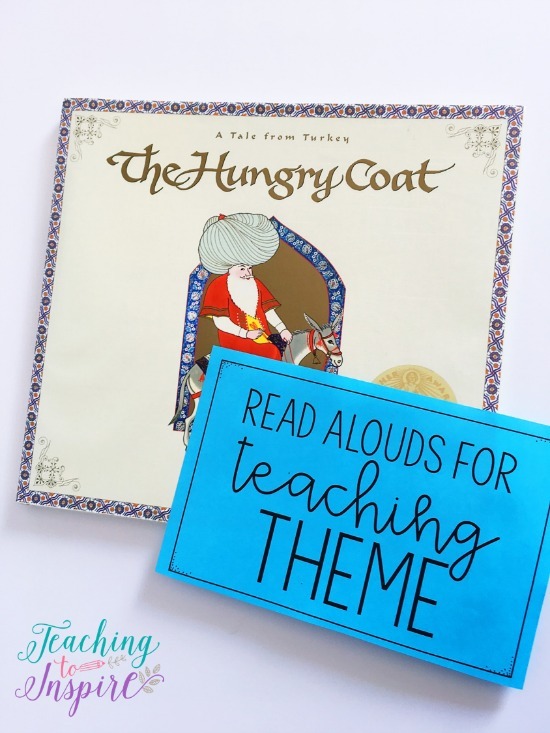 This traditional Turkish tale tells the story of Nasrettin, a popular, well-liked man. On the day that he is supposed to attend a friend’s banquet, he loses track of time as he helps with a lost goat and gets very dirty in the process. As a result, he doesn’t have time to change and arrives at the party in a dirty patchwork coat. His friend is embarrassed, the other guests completely ignore Nasrettin, and he is not served any food. Nasrettin leaves the party and returns wearing a clean, expensive coat, which he proceeds to “feed” with food and drink from the feast. He tells the guests that they must have wanted his coat to eat since there was no food for him when he wore the dirty patchwork coat. He then tells the guests that what is inside is what matters. Don’t judge others based on their appearances. The character of a person is more important than his or her outward appearance. What is inside is what matters most. Note: The theme of this book is a bit more obvious since Nasrettin announces the lesson to his guests. 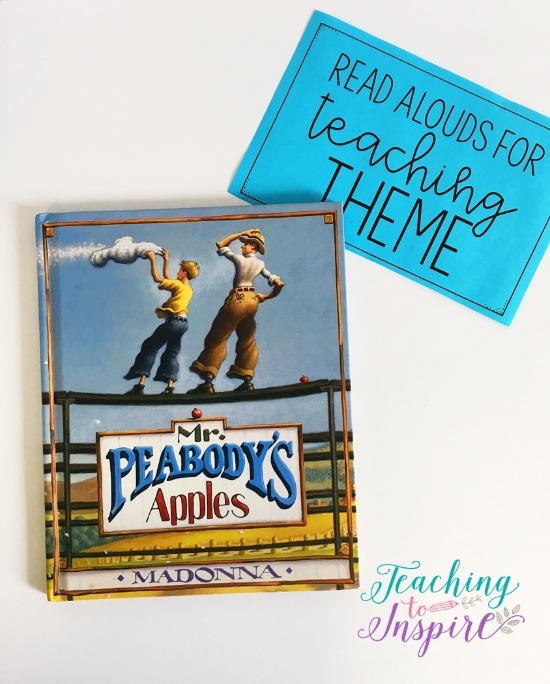 You can pause the reading before this part and discuss the themes with the students before continuing to read. Click here to see The Hungry Coat on Amazon. To choose a successor, an emperor holds a challenge. He gives each child a seed and tells them that whoever shows him their best will be chosen as his successor. Ping, the main character, is overjoyed because he is excellent at growing flowers. However, Ping soon discovers that the seed will not grow into a flower, no matter what Ping does. Ping’s father reminds him that he did his best and his best will be good enough. Ping presents his empty pot among all of the beautiful flowers the other children present. The emperor reveals that the seeds were cooked and no flowers could grow. He praises Ping for his courage and honesty and announces that Ping will take his place. Have courage to be honest. People who are dishonest are not rewarded. Click here to see The Empty Pot on Amazon. One Green Apple is a powerfully touching story of a young girl in a new country. Farah feels alone because she does not know the language and some of the children are not friendly. 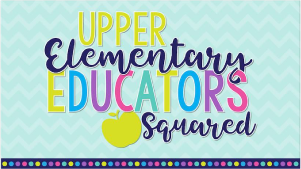 After a trip to the apple orchard, she learns that even though she does not know the language and the customs are different, she will fit in, just as her small green apple fit in with the other red ones. There are common interests even among very different cultures. Anyone can belong, even if they seem very different. Differences can bring us together. 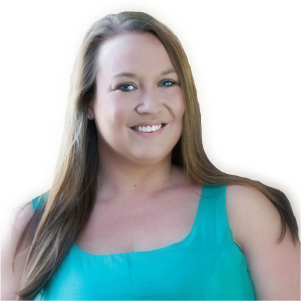 On the inside, people are not as different as they may seem on the outside. Click here to see One Green Apple on Amazon. After catching Mr. Peabody take an apple without paying, a boy tells everyone he knows that Mr. Peabody is a thief. The boy learns a valuable lesson when he learns the truth that Mr. Peabody paid ahead of the apples each week. Mr. Peabody uses a feather pillow as a clever means for teaching the young boy a lesson. Get the facts before assuming. Rumors spread like wildfire and are hard to extinguish once they start. Rumors can hurt the people they are about. Click here to see Mr. Peabody’s Apples on Amazon. This story really resonates with many of my students because their family members were immigrants from Mexico or Guatemala. In the story, a young boy helps his grandfather who does not speak English get a 1-day job pulling weeds out of a garden. But, there is some confusion and they accidentally pull out the flowers and leave the weeds. The boy learns a valuable lesson from his grandfather about being honest and making things right when we do mess up. When you mess up, make it right. Making something right is important. Knowing how to be a good person on the inside is more important than what you know on the outside. Click here to see A Day’s Work on Amazon. 1.) 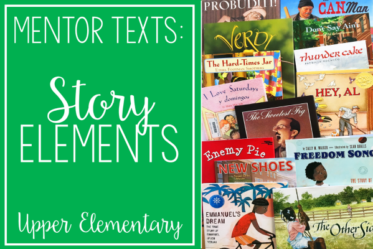 Choose books with plots, characters, and themes that will resonate with your students. 2.) 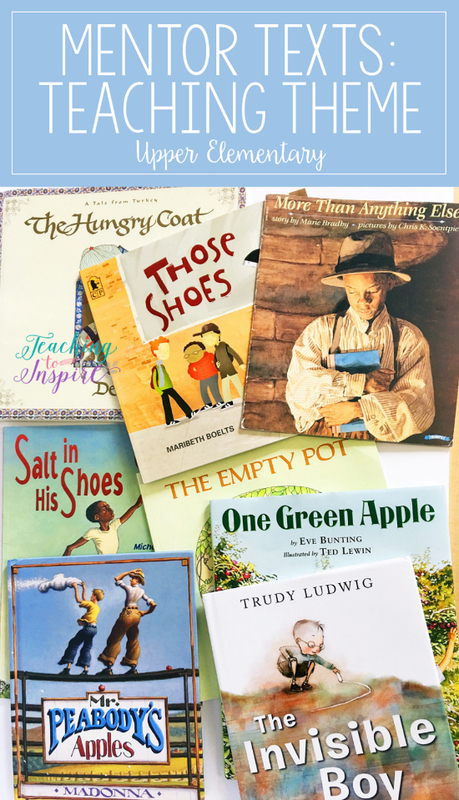 Include read-alouds about real people. 3.) 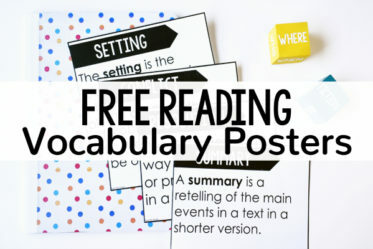 Read a variety of stories with differing themes and similar themes. 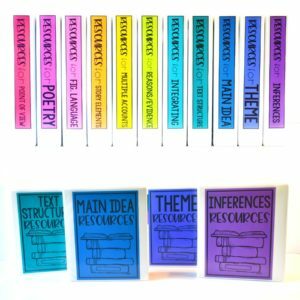 Try to include a variety of themes to expose your students to more. 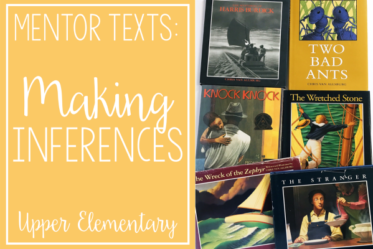 However, books with similar themes are excellent for comparing and contrasting how different themes are explored. 3.) 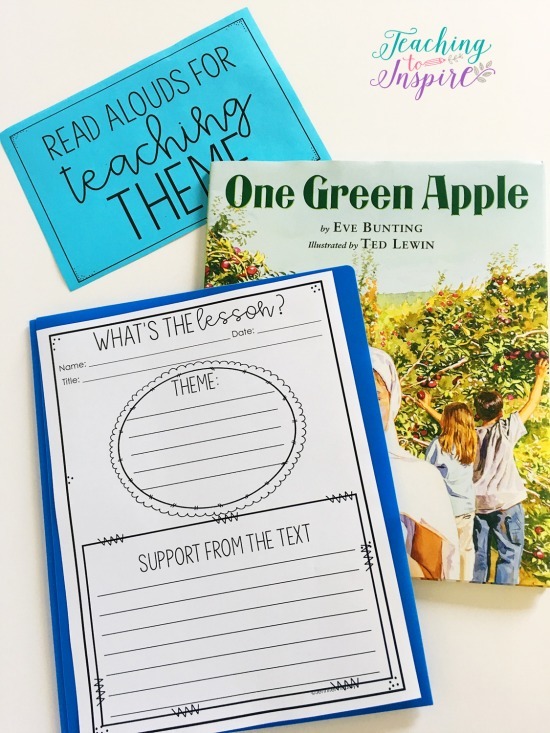 In a reading center to allow students to continue practicing the skill (Simply place the picture book and a graphic organize or interactive notebook template in a center for the students to complete. 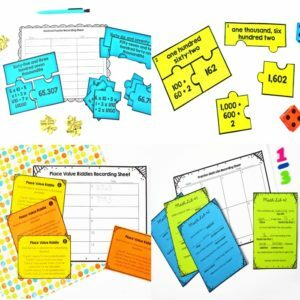 If you need graphic organizers or templates, click here to see my Determining Theme Resource pack. 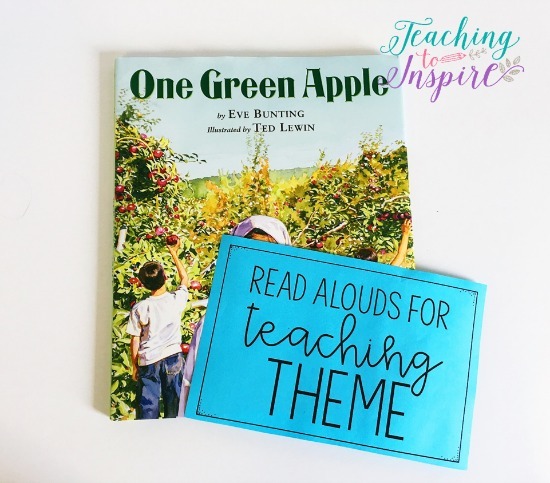 Do you have any favorite theme mentor texts or read alouds? Let us know in the comments! Thank you so much for posting this and the other links! 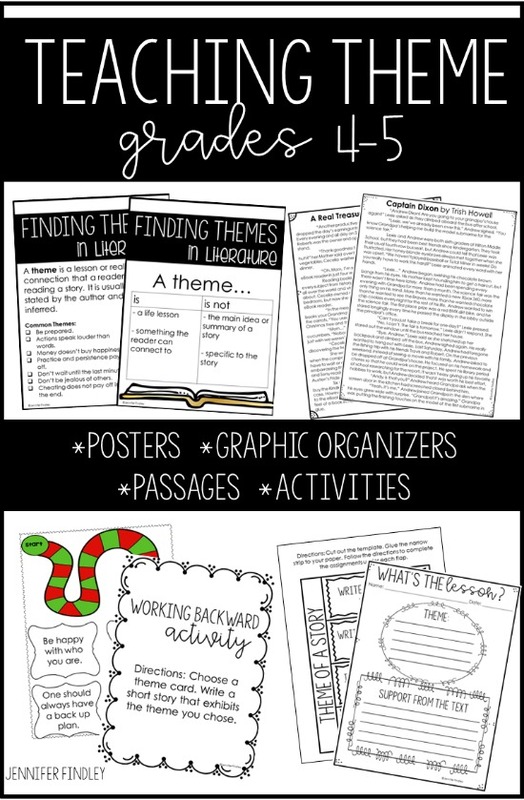 Your information is invaluable as I work towards my first year of #classroombookaday and allowing those books to become mentor texts! Awesome list!!! 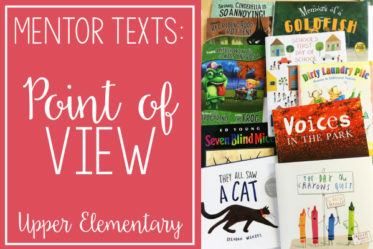 !Students love to be read to, and these stories will engage them!!! We are reading a novel and theme is the next to be taught!! 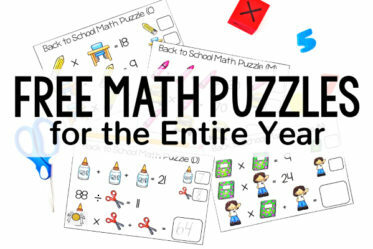 Great resources Thank you!